Your young baseball player will step into the batter's box and swing this colorful padded bat with confidence. Pitch the soft, fabric ball and get ready for baseball fun! 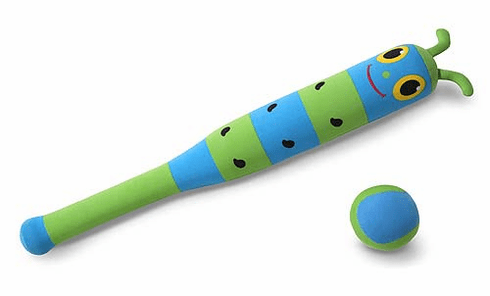 The bat is over 20" long and features Pitter Patter, who is happy to be on your team!